Mobox Graphics has a look at how to create a really simple map zoom effect in Ae, sharing some tips. A new motion graphics tutorial from Mike Ridolfi (Mobox Graphics) shows how easy it is to make a map zoom effect using a few different resources from Google Maps. The trick is to grab high-resolution still image screen captures from Maps at different height levels. From there it’s simply a matter of compositing and scaling the images in sequence in After Effects to have it look as if it was one contiguous map zoom effect. We can talk about map animations without mentioning Google Earth Studio, which is built for creating animations based on Google Earth. 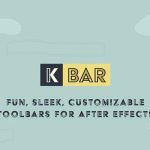 While still in beta, Earth Studio offers an After Effects-like workspace online that lets you easily script camera movements and export them as video.